One of the biggest proposed new St. Elmo subdivisions in years won the OK of a planning panel Monday, but not before neighbors raised concerns over traffic and whether the new development will fit in the historic neighborhood. Developer John Coffelt told the Chattanooga-Hamilton County Regional Planning Com-mission he would construct only single-family homes on the 4.6-acre tract located on the east side of Tennessee Avenue and at the end of Thomas Avenue. About 27 residences, including some so-called “tiny homes,” would go into the new subdivision estimated to total about $8 million in new investment when built out. Coffelt said work could start in about a year on the property, which he sought to rezone from an M-1 manufacturing district to a R-T/Z residential townhouse zoning. Kelli Richardson of LDA Engineering said there have been three community meetings related to the proposed project. The St. Elmo Neighborhood Association has given its approval, she said. But a pair of St. Elmo residents expressed their concerns to the planning commission about the proposed development. Tim McDonald said vehicle traffic in the area will increase in a location that has narrow streets. McDonald said rezoning the property to R-1 would have been a better fit for St. Elmo as that is what most of the area already is zoned. Carl Roberson, another resident, said he has lived in St. Elmo for 24 years and people in the neighborhood have worked hard to make it a historic part of Chattanooga. “We took this part of the city and protected it. We need to honor all the work we’ve done for 20 years,” he said, adding he was concerned town-houses eventually could be built on the site. Panel member Jason Farmer asked Coffelt if he’d accept as a condition of the rezoning limiting construction to only single-family homes. Coffelt said he would agree, saying he didn’t want to upset the fabric of the community. 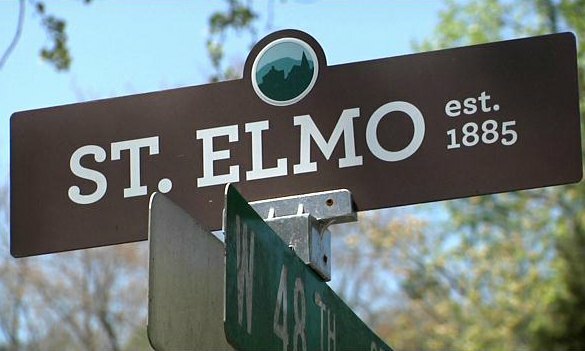 “I wouldn’t be in St. Elmo unless I didn’t have a deep love for St. Elmo,” he said. Donna Williams, another panel member, lauded the amount of dialogue between the developer and St. Elmo residents before the Monday meeting. The rezoning still must receive approval from the City Council, which is expected to consider the proposal next month.